Driving Instructors from all over Ireland are on DrivingInstructorsIreland.ie. The search system we use in this site is based on a simple County and Town/Area search; you can find driving instructors or driving schools in your area. All the Driving Instructors listed in the site are Qualified on date of upload but we do recommend you ask for proof of qualification on your first driving lesson. This site is a sister site to www.DrivingTestTips.ie the only driving instruction website in Ireland to receive an award from the Road Safety Authority. We work to create some of the most popular learner driver websites in Ireland and we intend to continue to help people form all over Ireland become safe qualified drivers. We are looking to help you! the Award Winning www.DrivingTestTips.ie - just click here. We would like you to know who you will be taking your driving lessons with and the best way for us to do this is by insisting that driving instructors who wish to become sponsors give a picture of the qualified driving instructor who wishes to become a sponsor of the DrivingInfo network of websites. They MUST also have an ADI number and be willing to give you as many driving lessons as you need. When you search your county you will get a list of driving instructors and in some cases you will see sponsors/sponsor at the top of the page, you will see a picture of the driving instructor and if in any case you go to this driving instructor for driving lessons and you find that the driving instructor who gives the driving lessons is not the driving instructor in the picture, please let us know and we will follow up your inquiry. 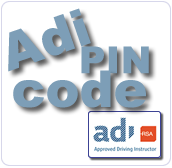 If you wish to arrange driving lessons with alternative driving instructors to the one's listed as sponsor's on any of the drivinginfo websites, you should check that the driving instructor are RSA-ADI Qualified. All driving instructors in Ireland MUST be RSA-ADI Qualified to receive payment for giving driving tuition.